Access Exclusive Ticket Offers for Students! Sign up for Chicago Bulls Student Pass now to have day-of-game deals sent directly to your phone. 1. Sign Up for free below – There’s no obligation to buy tickets. 2. 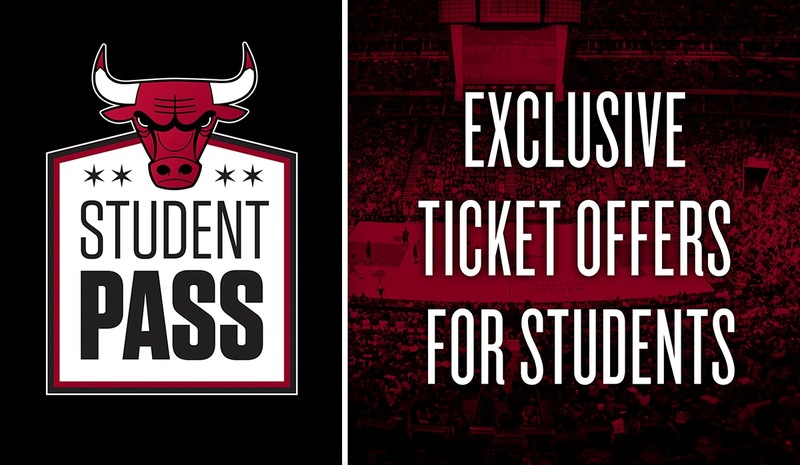 Receive a Text before our home games for exclusive Chicago Bulls Student Pass offers if tickets are available. 3. Purchase Your Pass on your phone through the link we text you and receive your Chicago Bulls Student Pass the morning of the game. 4. Enjoy the Game by entering the United Center whenever you want with your Chicago Bulls Student Pass. With a Chicago Bulls Student Pass, you’re guaranteed a seat, and you’ll receive your seat location 2 hours before tip-off.